I love wineries! Which makes sense because I love wine. I love wineries because it gives you such an insight to their wines. Some wineries, like their wines, are over priced and pretentious. Some wineries take the time to get to know you, as you them, and let you absorb the wines at your own pace. Then there are those who get you in and out as fast as possible , cheap service and probably cheap tasting wine – like a fast food restaurant. Horrible food, but it fills you up quickly. I obviously prefer the second, but sadly have experienced the other types as well. I am not going to get into all the wineries I have been too. I am not here to bash wineries (or their wines) either. I would like to tell you about the wineries I explored yesterday and the wine (and one particular winery) I feel you should invest in! Yesterday was a marvelous day! We set out on an adventure of exploring local wineries. 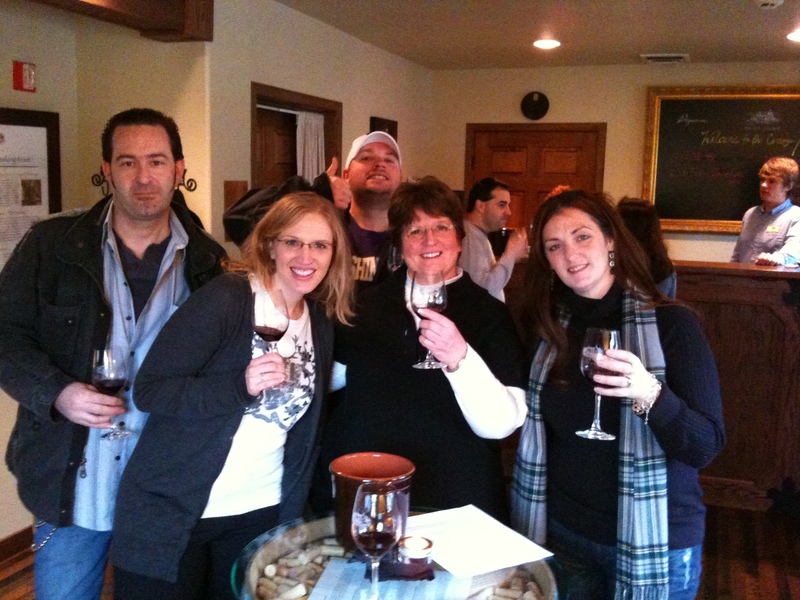 Our wine tasting group included, my husband, brother, sister-in-law, brother-in-law, mom and myself. And since going to the Eastern side of Washington was not a possibility, we decided to check out Woodinville. Now, Woodinville is notorious for two of the biggest wineries in Washington, Columbia and Chateau St Michelle ( honestly are far from my favorite) – but did you know there are 45 wineries/tasting rooms in Woodinville? I didn’t, but now I do. I mean, this is a wine lovers paradise. 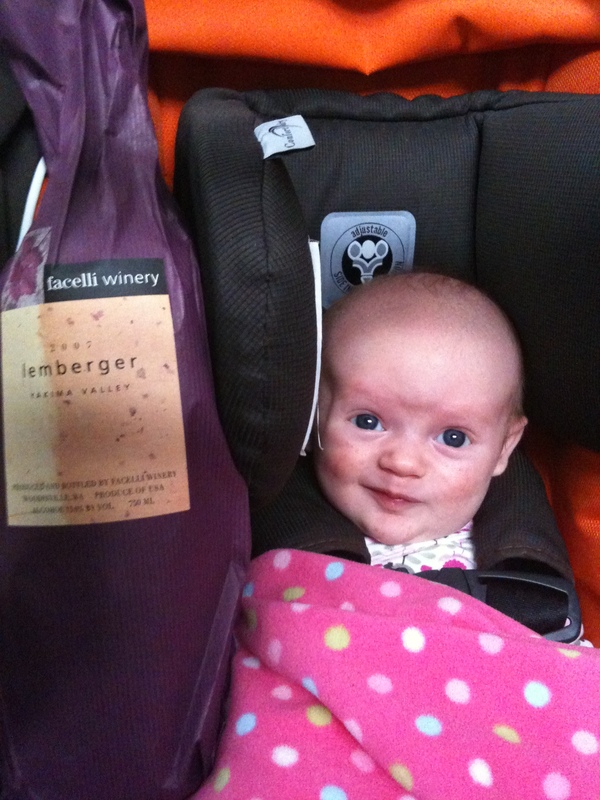 But, since we had little one in tow (yes friends, it is possible to wine taste with a baby, some wineries more welcoming than others. Just be mindful – swish, swirl and spit!) we had to limit the number we visited. Ok, I have had one of their most popular wines called D2. FABULOUS wine! My brother-in-law Michael introduced me to this little piece of Heaven and have been in love with ever since. Just one slight problem, the price. DeLille’s wines over priced (for us novices who don’t have unlimited funds). The taste of their wines impressed me, but turned off by the price. Nothing under $35.00. If you are in the mood to splurge, I will tell you the two wines I found the most delightful. 2006 Doyenne Signature Syrah – $34.00 – A very rich wine with a taste of berry and spice. Not my favorite Syrah, but seductive on the palate. 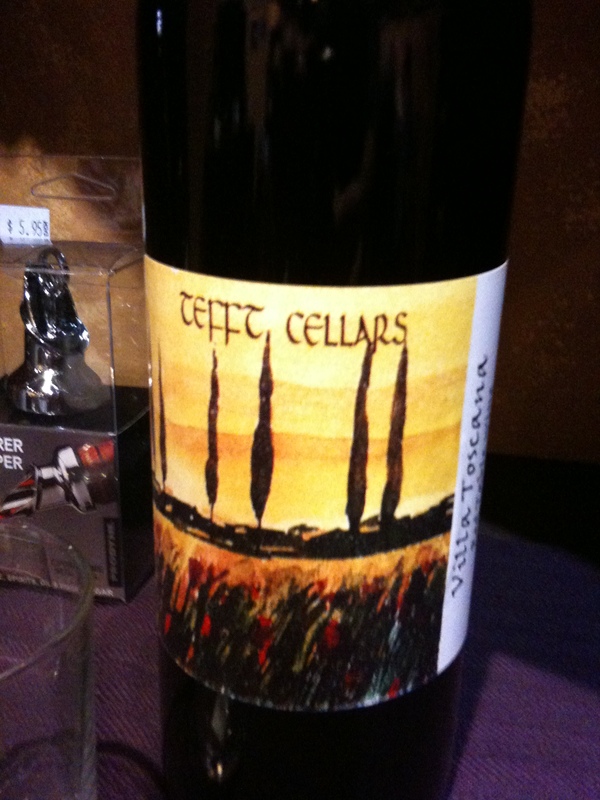 2007 DeLille Cellars D2 – $35.00 – Like I said a little piece of Heaven. The taste is of plums, cherries, vanilla and little spice. It is a smooth wine and goes down very easily. One of my top 10 favorites. This winery just opened a tasting room in Woodinville. Their original winery is located in Outlook, WA – a suburb of Yakima. I have been to the Outlook winery twice and enjoy their nicely priced wine. Out of the three I visited yesterday, this winery by far had the best service, class, atmosphere, price and wine. All 6 of us walked into this well designed wine cellar with lush chairs, couches and friendly smiles, in awe. We sat back and enjoyed our tasting of 14 wines (I did not taste all 14, I apologize) – for about an hour and a half. We had the full attention of the owner and his knowledge and enthusiasm for his wines was inspiring. 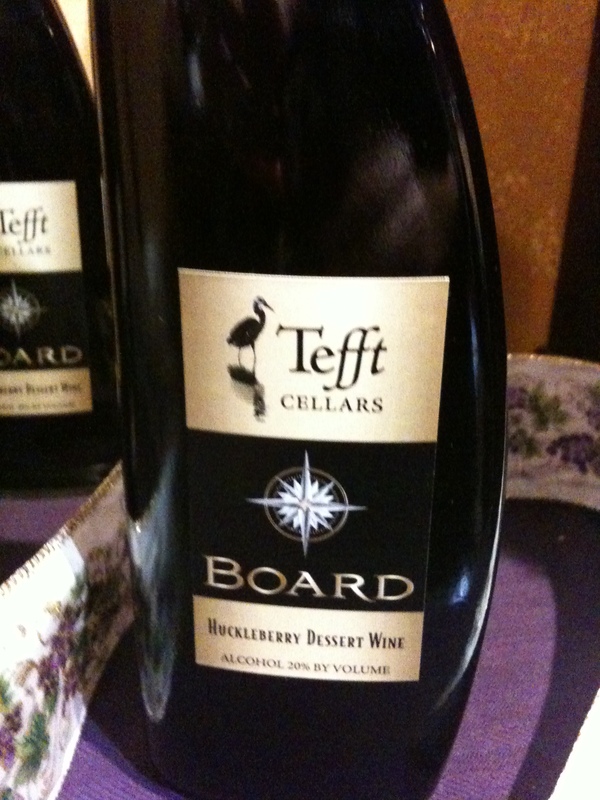 I enjoyed so many of Tefft’s wines (and bought) – but I will give you a couple of the wines I recommend the most. I HIGHLY recommend visiting this winery as well! They also have three ports that were a hit with our group ( I did not taste). 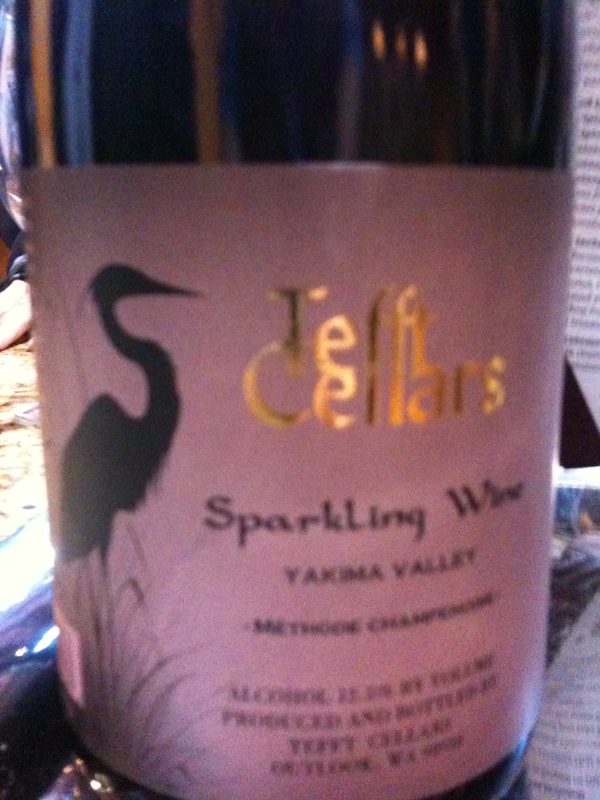 You are able to find Tefft wines in local grocery stores, as well as Trader Joes and Whole Foods. If you attend this, let me know what your favorite wineries are! I can’t wait to try wines and share them with you!